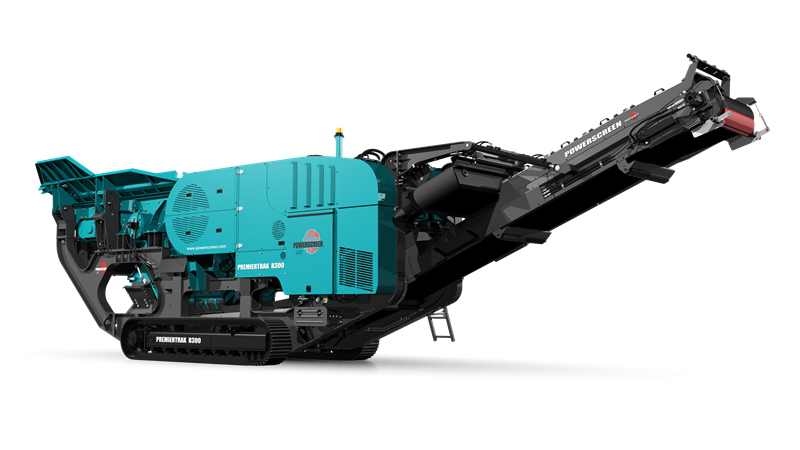 The Powerscreen® Premiertrak 300 range of high performance primary jaw crushing plants are designed for medium scale operators in quarrying, demolition, recycling & mining applications. The range includes the Premiertrak 300 with hydraulic adjust & the Premiertrak R300 with hydraulic release. User benefits include track mobility for a quick set-up time, hydraulic crusher setting adjustment for total control of product size & crusher overload protection to prevent damage by un-crushable objects. The Premiertrak 300 can run at low engine RPM resulting in excellent fuel efficiency and low noise emissions, ideal for urban sites. Other benefits of the machine include: Large clearances in the bypass chute to improve material flow and reduce the chance of blockages in sticky material; a large under crusher clearance and full tunnelling to reduce the chance of blockage due to re-bar build up; and a hydraulically lowering conveyor offers excellent access to reduce downtime should a blockage occur.